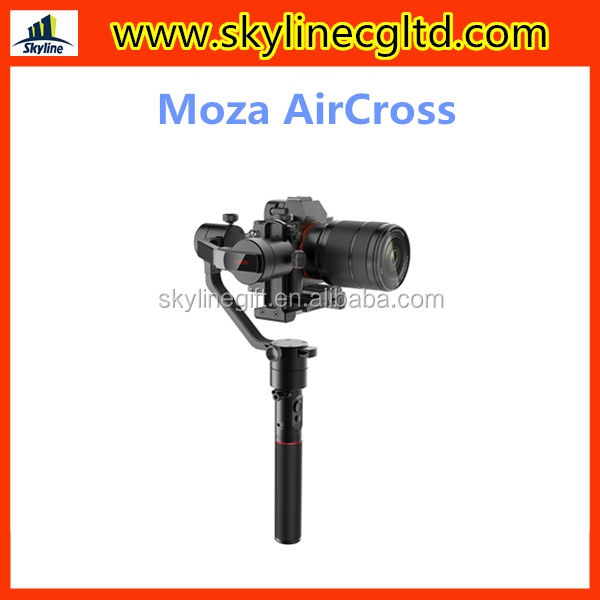 Why we choose MOZA AirCross instead of MOZA Air? 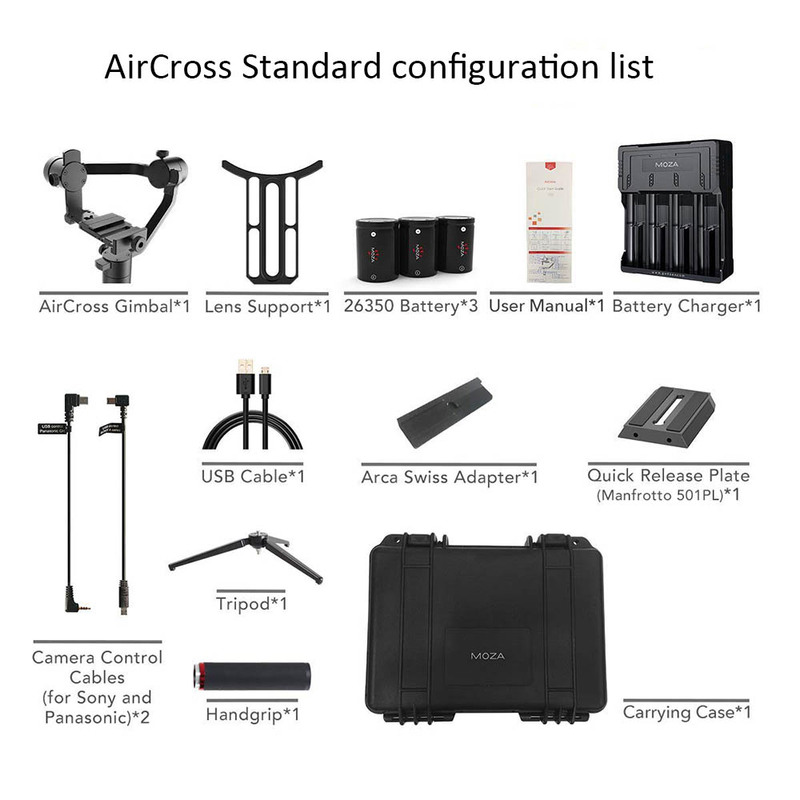 it also features like powering the Panasonic Gh3/4/5 and Sony A series as well as an additional plug for v-lock batteries to be plugged onto the gimbal. 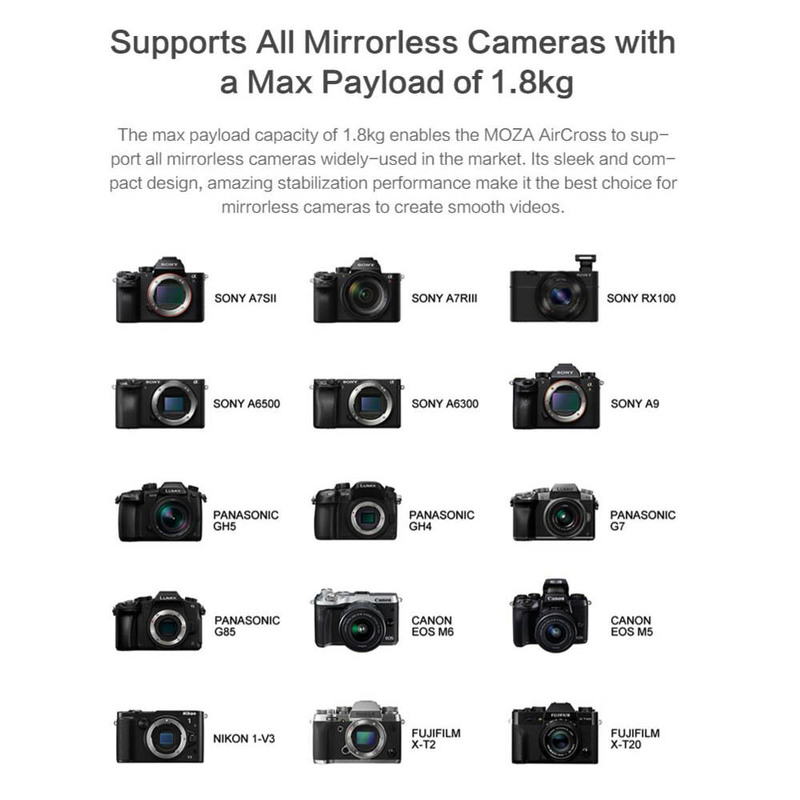 It fits all mirrorless camera combination. Many photographers' work in most cases is packing all the gear to the backpack and travel as light as possible. Capture incredible time-lapses of a sunrise, a construction crew assembling a building, and the stars crossing the night’s sky. 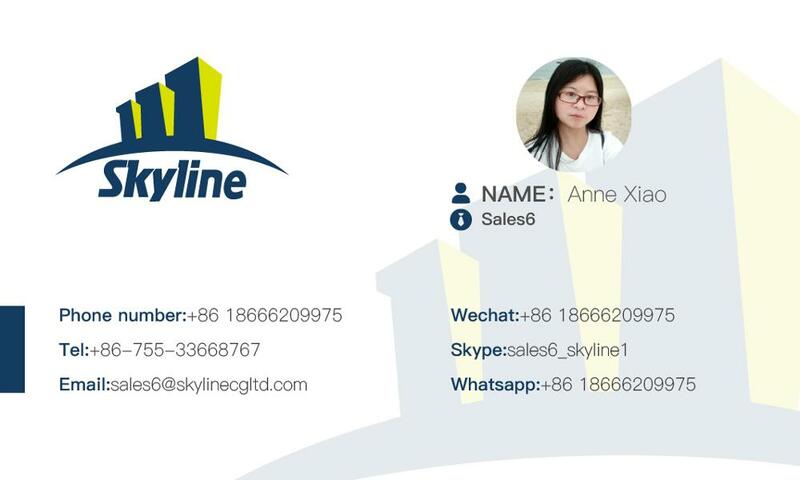 The four filming modes are yaw-follow, yaw/pitch follow, all-lock mode, and roll-follow mode. The new roll-follow mode allows for thrilling Dutch Tilts. 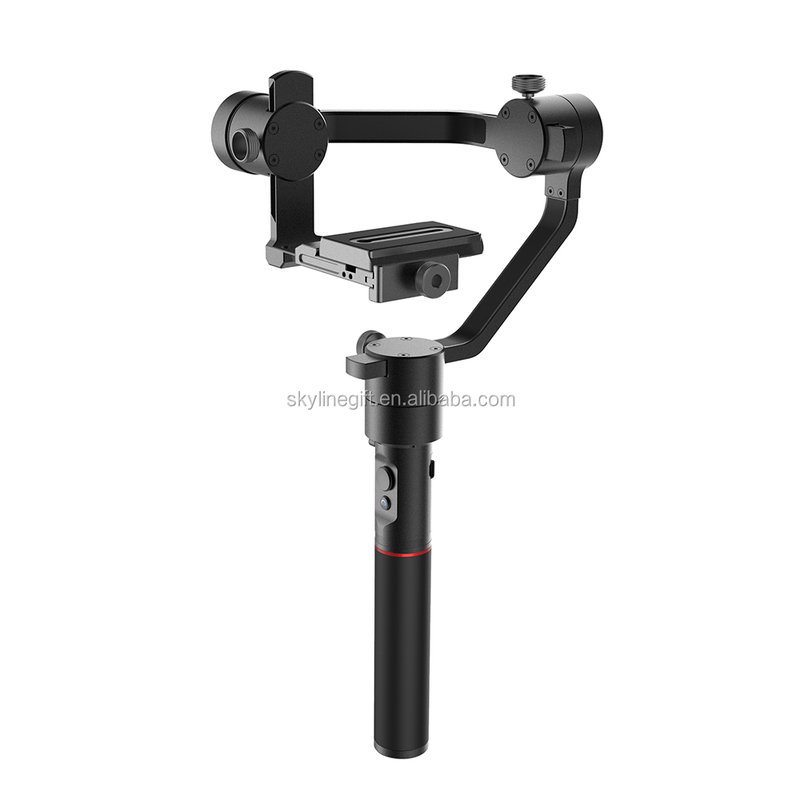 Simply press the handgrip’s power button three times and the gimbal will go back to its starting position. The handgrip fits perfectly into your palm for a more confident grip. Switch filming modes, control movement, and start/stop recording all from the handgrip. 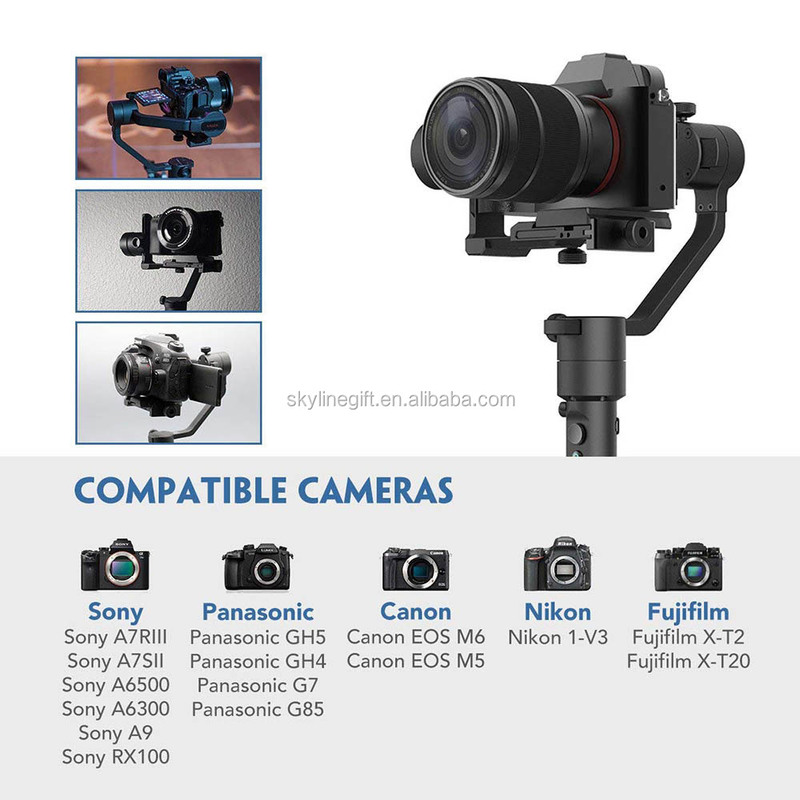 [Auto-tuning for Optimal Performance]By DeepRed technology, the camera gimbal can efficiently calculate the optimal parameters for the camera setup, as well as save up to 6 camera profiles. Say “Good Bye” to annoying vibrations and frustrating oscillations. 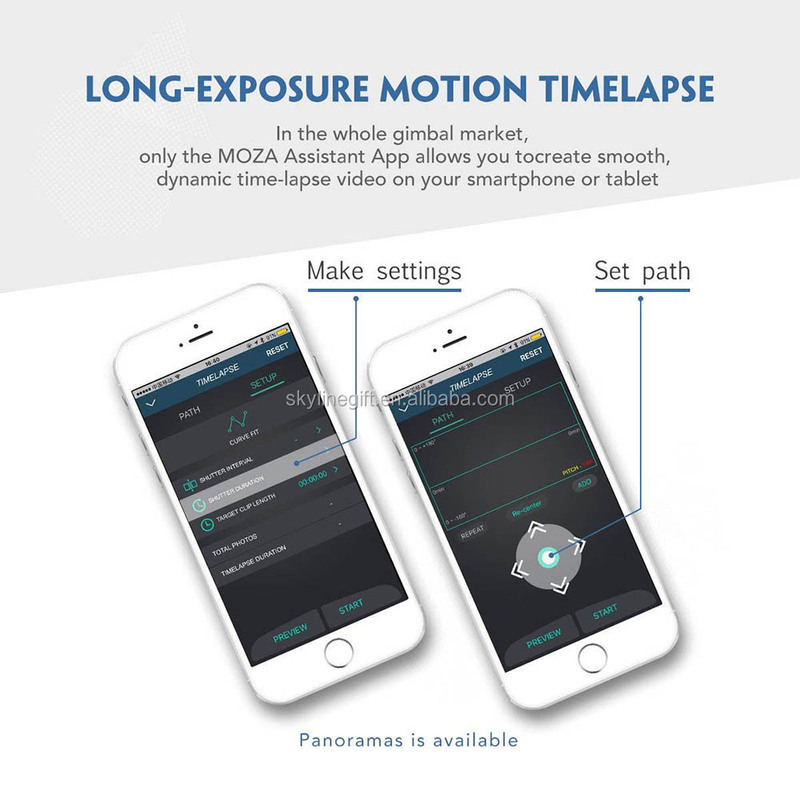 [Multiple APP Control]Features Remote Control, Move-Stop-Shoot-Move Long-Exposure Timelapse, 8 Operation Modes Setting, Shutter time, Duration, Intervals and Path, as well as Manual Positioning. 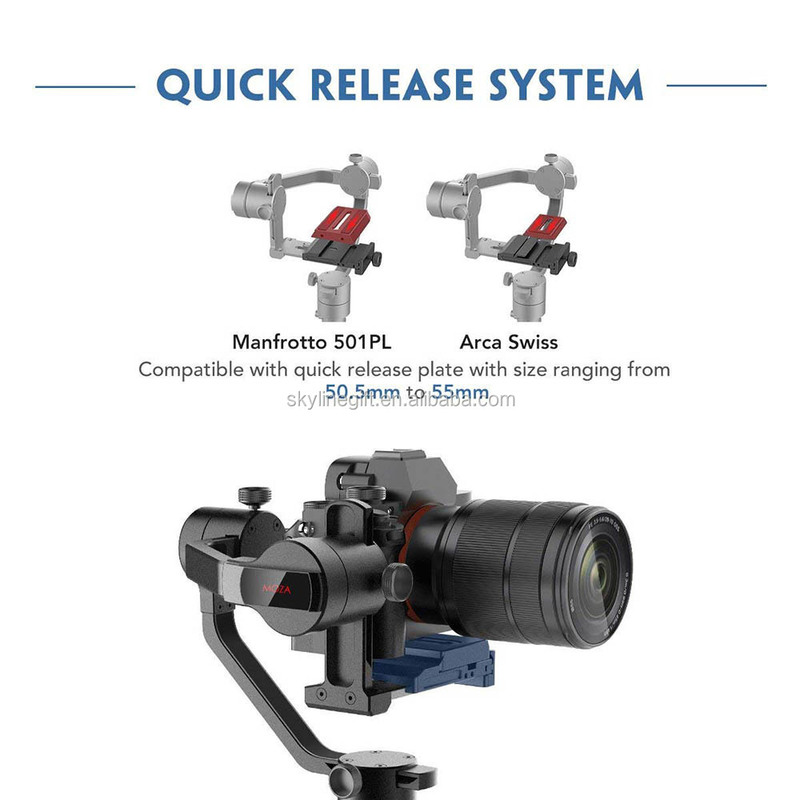 [Fit 2 kinds of QRP]The Air Cross stabilizer has very slim quick release plates that work for both Manfrotto 501PL and Arca type, allowing users to remove a camera from the gimbal head and refit it later without having to rebalance the whole rig. 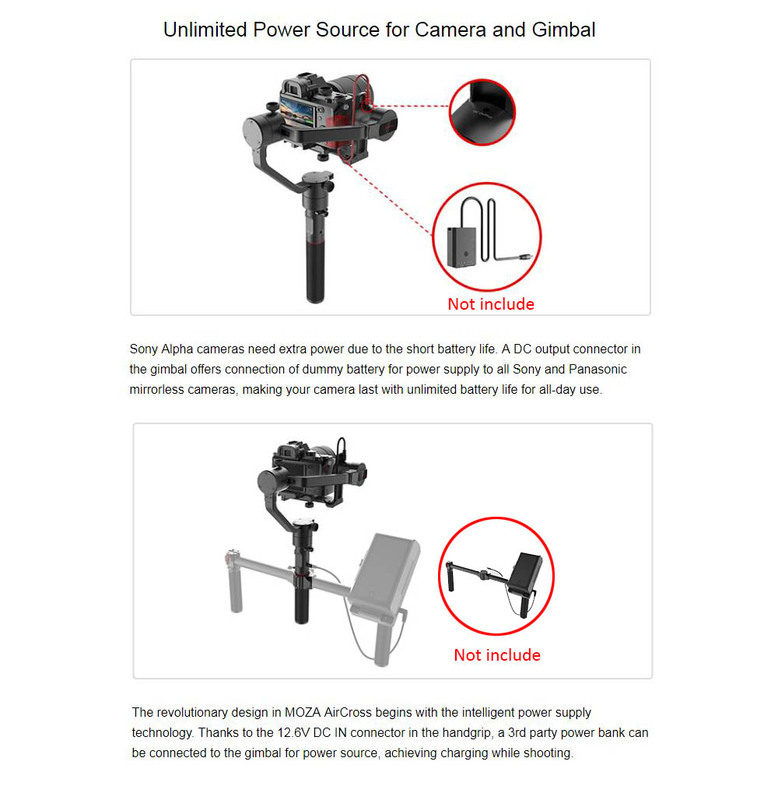 [12h Run-time with 2 Power Options]A DC output port for Sony Alpha or Panasonic dummy battery (optional), and a 12.6V DC input for attaching a power bank helps you avoid running out of power over long shooting days.